Easter is just around the corner. If your family is anything like ours, you probably won't be filling those baskets with lots of sugary treats. We have shied away from loads of candy and try to do things like books and clothing in our baskets. Of course there is a few pieces of chocolate but nothing like I had growing up! Books are an awesome gift, perfect for those baskets. I have several titles from Zondervan to share with you today. Hopefully this will help inspire you. There are books for all ages and different styles too! 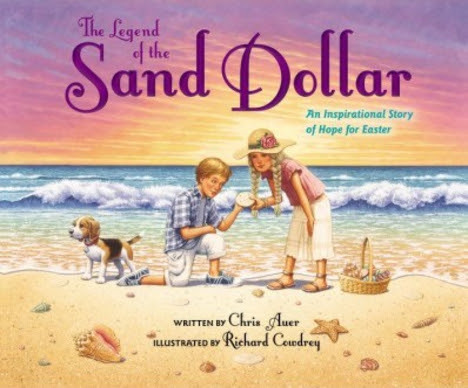 This is a wonderful story featuring two cousins who find sand dollars on the beach. 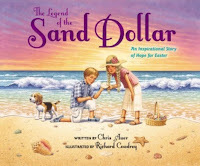 The one child shares about them and a story of Christ through the sand dollar. It is a wonderful picture book with a great story. This wonderful board book is perfect for little hands. 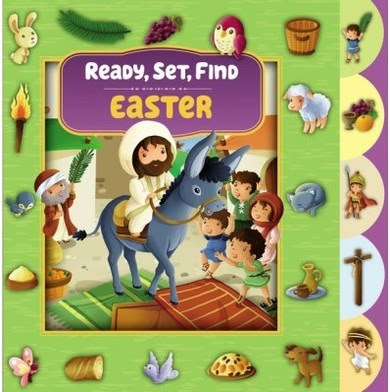 It features stories like the last supper and Jesus' Resurrection. It is a great way to introduce some of these stories to young children. This book had me laughing at the start. I could already see where it was heading and what might happen. The Bears' church has a special service where they are invited to bring their pets for a blessing from the preacher. This book has a bit of fun in what happens when all those pets get together. It is a cute story and a good reminder to take care of our pets. 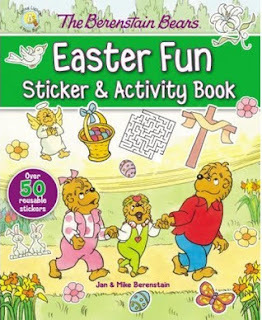 This book includes over 50 reusable stickers along with many activities for Easter fun. Crosswords, coloring and mazes are just a few of the activities. 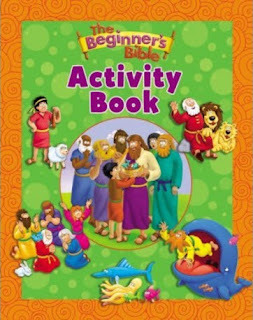 My son loves these little workbooks (we own several) and this one was perfect for this holiday season. I love this coloring book. 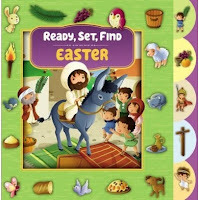 The pictures are well drawn and engaging for children. There are many stories from the bible featured and it has been handy to have these coloring pages to go along with our studies. 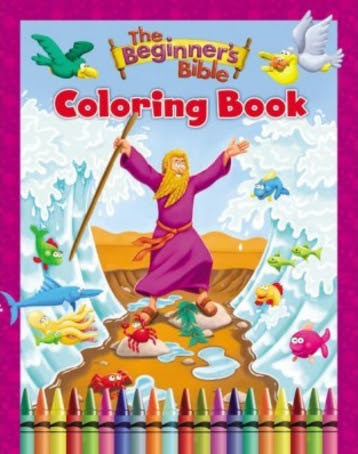 I think combining this with the above coloring book really helps me to give my son a solid set of resources to go along with our bible learning. My son is in kindergarten and this book is perfect for him. There are mazes, crossword puzzles ,letter/number tracings and so much more. 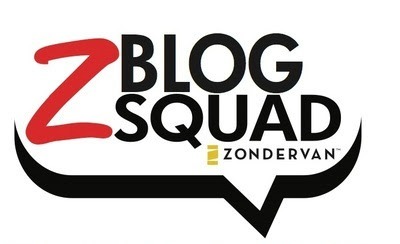 One lucky reader will win a book of their choice from the featured books in this post!! I think I would choose the The Berenstain Bears Bless Our Pets. I think my grandson would enjoy this. If I'm the lucky winner, I would choose The Berenstain Bears Bless Our Pets. 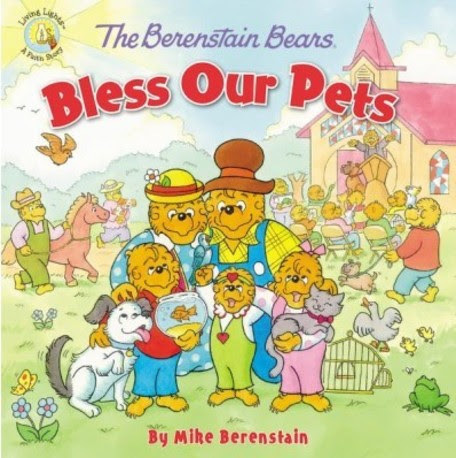 The Berenstain Bears Bless Our Pets.. My kids would love this. I'd like The Beginner's Bible Coloring Book!